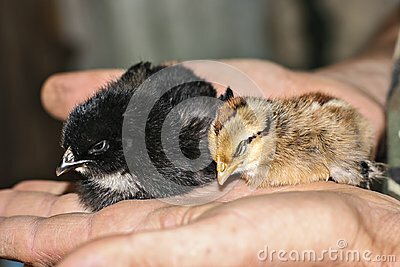 Two little cute baby chicks sitting on the hand. Two little cute baby chicks sitting on the hand. A close-up of a baby bird, Chicks sat in an adult hand. The concept of animal welfare.